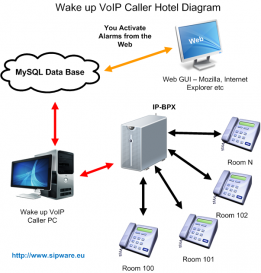 Wake up VoIP Caller is a simple applicaiton that registers as a normal softphone to a sip server/IP-BPX of your hotel and gives you the abillity to activate alarms for any guest using only a simple and useful Web Interface. Our software working with any IP-BPX that supports the Sip protocol. Wake up VOIP Caller connects and keeps all the data to a MySQL Data Base. You can use any MySQL Data Base you already have, even the Data Base of your Web Site. In that way, it will be more flexible for you to install and to use the Web interface of the Application. The Web interface can also be installed at the web site of your hotel. 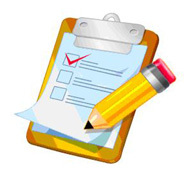 This file include the nesesary sql code that you need to create the MySQL tables. This file include the web interface of the application. You need to un zip it and to up load to any system which it support http server and php. 1. Import the "MySQL_Data_ver_1_x_x.sql" to any MySQL Data Base you would like to use, so Wake up VoIP Caller application will be able to store all the data. We suggest you use phpMyAdmin tool. To save time its possible you use the same MySQL as your web site do, or you can install a fresh installtion of MySQL to your PC. For pc installations we prefer USBWebServer . After you import sql file you should have the follow tables in your data base. 2. Install the application by executing the file "Wake_up_VoIP_Caller_x_x_x.msi"
At the installation folder search for the file "connection_to_mysql.txt". Edit this file and put the necessary information, so the application will be able to connect with MySQL Data Base. Just Change the values with red color and save it. Make sure that your MySQL allow remote connections (In case you have cPanel it very easy to configured). 3. UnZip the file "wakeup_voip_caller_web_gui_x_x_x.zip" to a folder. - Upload that folder under your http server public folder. - You can use the http server of your web site too. Make sure that your http server recognize php scripts. - In case MySQL DataBase is on the same machine you have too put as server "localhost". - Put the correct username, password and data based name. After that you will be able to load the Web Interface. As user name and password put "admin". -At VoIP Account Settings put a valid Sip account that application will use to Register. -At the Setting page you need only to change the Web Gui url field. Put the Complete url of the Web Gui. 5. 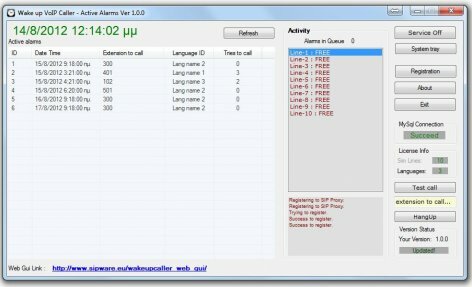 Load the application at your windows system and activate alarms using the Alarms page of web gui. Put as destination the extension of the room, also date and time. Select the Language you prefer. 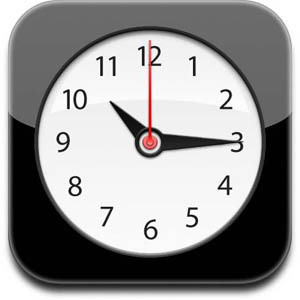 Based on language selection the application will pick the correct audio file to play when a guest of your hotel will answer the wake up call. This selection is based on the ID of language you choose. If you pick Language with id 4, then it will play the wav file of folder "lang4" (see at the installation folder of the application in ./wavfiles). You are able to change all the audio files and to put yours in any language you prefer. You are able also to change the name of the languages by edit them at the Langs page of the Web gui. The number of the different languages you are able to use it will be based on your license. -fix issue with un-successful alarms notifications. The license that you buy allow you to use our Software to any hotel or for private usage. 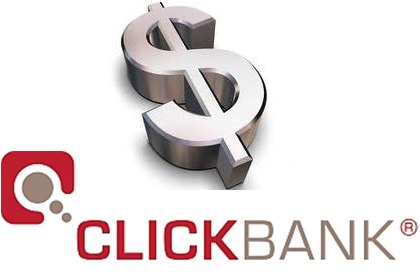 You can not use our software for commercial reasons and for public usage.